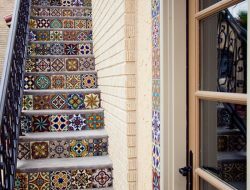 The 16th Avenue Tiled Steps Project in San Francisco is a perfect example. It’s a community-led project that’s sponsored by KZ Tile, a major tile setting company in the state. They worked on it for one and a half years, and the result is well worth the effort and the wait! But you don’t have to have a staircase with a hundred steps to make your own staircase at home look great. Take a closer look at our gallery and find inspiration of various designs for staircases. Whether it’s indoors or outdoors, these steps can add distinction in terms of design to your home. Do you want to convert your staircase into one of the staircases below? 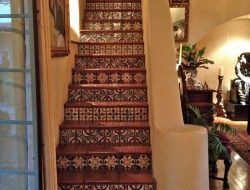 View our album below to see more of this amazing tiled staircase. We’ve also added a few more tiled step examples which you might also like and get inspiration from!